For sometime now I have been using Chrome as my preferred browser. Once upon a time it was Firefox. But there's a few things about Firefox I dislike and this is one of them. Some site, such as the New York Times, have a half-hearted implementation of HTTPS. 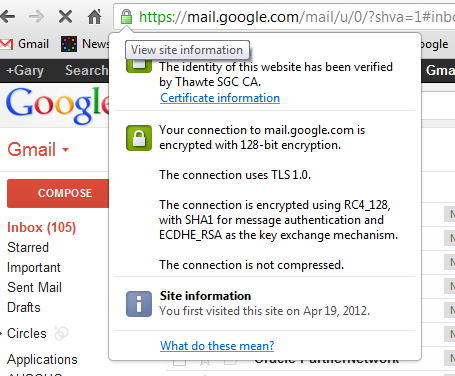 I generally see this when someone who uses a tool like "HTTPS Everywhere" posts a link. 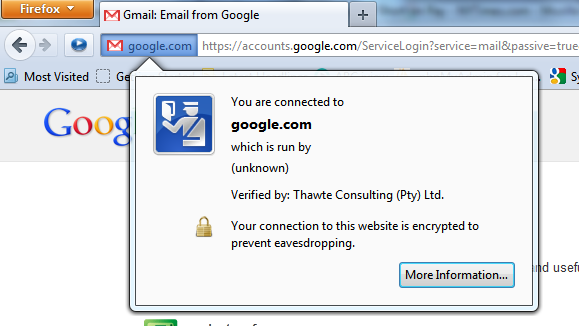 The problem is that Firefox doesn't make it REALLY obvious that the https is a bit broken. You see the regular icon, and if you bother to click on it, you get a little warning. Now, compare that to Chrome, which gives you a big chunky warning you have to accept. And if you do accept it, you get a padlock with an 'x' on it, and a line drawn through the https text. This makes it obvious that it is broken. When the https is okay, Firefox does give you the hostname but it isn't that great. Again, clicking gives you a bit more info. 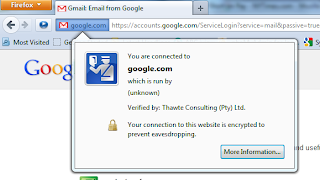 Chrome gives you the padlock icon and a whole bunch of techie details are just a click away..